Hyderabad, March 18 (Maxim News): Secunderabad Division has always been in the forefront to provide improved amenities to facilitate the passengers and o­ne such initiative is provision Battery Operated Cars (BOCs) at Secunderabad Railway Station. 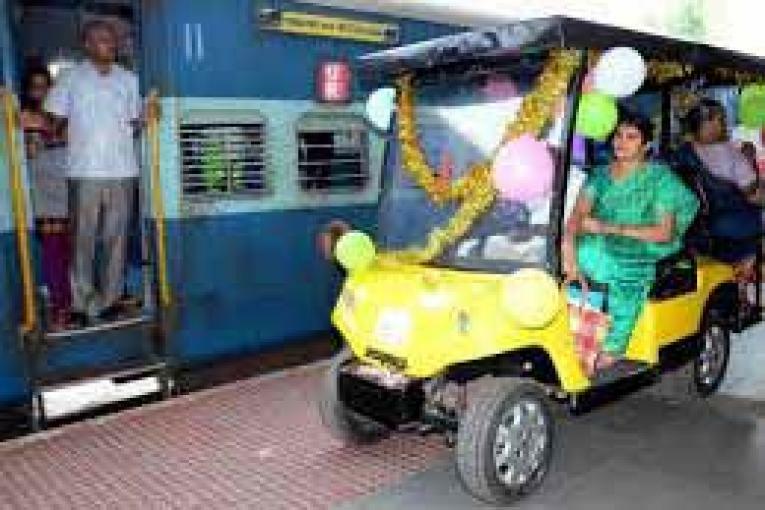 In addition to the existing facilities of Lifts, Escalators and Wheel chairs, 5 Battery Operated Cars have been provided for ferrying of passengers across the platforms, at Secunderabad Railway station. While the service is available to all passengers; preference would be given to Senior Citizens, Divyangjan, Pregnant women and medically sick. The service of Battery Operated Cars can be availed by advance booking through the dedicated mobile number 91-88273-31111. The services are available round the clock at a cost of Rs. 45/- (including GST) per passenger and computerised bill is issued for all transactions. Secunderabad station is a Digi-Pay station and digital payment modes like Point of Sale (POS) machines and Paytm are accepted for usage of Battery Operated Cars.